Volante S6 Sport Steering Wheels, 3 Spoke w/ Hub Adapter, 1967-94 GM vehicles Chevy Impala, Camaro, Pontiac Firebird, Buick, Olds. 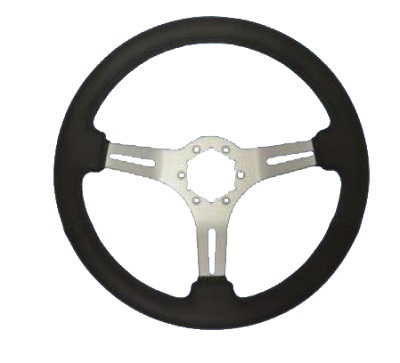 We offer the complete line of Volante S6 Sport Steering Wheels. These are beautiful custom 3 Spoke Steering wheels available with supple leather or classy wood grips and either chrome, brushed or matte Black spokes. Choose your steering wheel and then the correct Hub Adapter for your year 1967-94 GM vehicles.